Is Your “Non-Flammable” Pepper Spray Really Non-Flammable? In the August 2007 issue of Law Officer Magazine is an article that is both informative and scary. For years it has been common knowledge that departments that issue both electronic control devices (such as the TASER) and oleoresin capsicum (O.C. or pepper) spray should be careful to buy a non-flammable formulation of O.C. spray. Early formulations of O.C. spray used an alcohol-based carrier, which was more effective that the water used today. However, the alcohol was also flammable. There is at least one recorded incident in which a stun gun was used on a combative suspect who had already been sprayed with an alcohol formulation of O.C. with both spectacular and disastrous results. Most manufacturers produce non-flammable pepper spray formulations for police departments. Some even label the O.C. as safe to use with TASER-type weapons. I suspect that most departments, like my own, have accepted the manufacturers’ testing of their own products. CRT Consulting, a less-lethal weapons research company, tested 48 different formulations of pepper spray to determine if the O.C. is safe to use with a TASER. The results were not encouraging. Your department may want to contact CRT Consulting to determine if your pepper spray really is “non flammable.” Certainly, testing your current O.C./TASER combination should be a priority before something ugly happens to put you as the lead story in tonight’s news. Prior to this magazine article, CRT published an article on PoliceOne about this subject here. There are other concerns about the use of TASER-type devices on people with heart conditions. We can try to limit the exposure in those situations, but mixing flammable pepper spray with an electronic control device is completely preventable. Most of society finds violence very ugly , and they do not have the capacity to understand or commit acts of violence towards their fellows. This is normal, and these people are sheep. A small portion of society has the capacity and willingness to do acts of violence. This section of humanity has no care for his fellow man, nor feels compassion for them when he victimizes them. These deviants are wolves. The smallest portion of society has the capacity to do violence, and has the willingness to commit acts of extreme violence in the defense of others. This tiny group of warriors runs to stand between the sheep and the wolves, to do battle in defense of the innocent. This select group is not loved by the sheep, because the sheep fear their capacity for violence. Yet, each day this group volunteers to go forth and defend their flock, knowing that today the wolf will be back seeking to harm the sheep. These warriors are the sheepdogs. does a far better job of explaining the concepts of sheep, wolves, and sheepdogs on his site. Sheepdogs include soldiers, sailors, airmen, guards, and any citizen who is on the watch for, and prepares to battle with, wolves. Blue sheepdogs, however, are those special police officers and sheriff’s deputies who dedicate their lives to this noble cause. Without them, modern society would not exist as it does now. I thank you and stand with you on that thin blue line. Service and protection is what we provide to even those that cannot understand it or appreciate it. And that is where the name originates. One of the fundamentals of accurate shooting is “trigger control.” From the first day on the range in the academy, police officers are taught that proper trigger control, along with a good sight picture, will put holes in the target even when your stance and grip are not perfect. Police officers are told to “press the trigger smoothly to the rear in one continuous motion.” We could get into the semantics of “pressing” the trigger vs. “pulling the trigger,” but the idea is the same: smooth, straight back, one continuous motion. With practice, any physical activity can become ingrained into your body to the point that the action no longer needs conscious thought. This is usually called “muscle memory” though the science is far more in-depth than the term suggests. Muscle memory is important to police officers who often are dealing with high-stress situations, where thinking about simple tasks can slow you down and get you hurt. 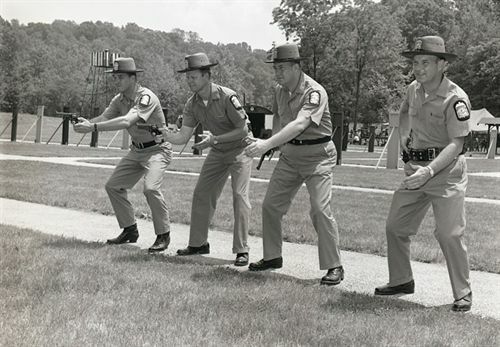 For example, you should have drawn your firearm enough times in the academy that when you hit the streets in field training, you could draw your gun without thinking about the steps needed to accomplish the task. Learning to properly work the trigger on your service pistol can also become learned muscle memory. It just takes good practice. Dry fire practice is one of the techniques that I’ve always used and taught others to use. One of the best competitors in the world, Rob Leatham, also supports the use of dry fire practice in training. The one concern I’ve always had is with the auto-pistols using the “normal” double action/single action (DA/SA) trigger pull. The concept is: for the first shot, the officer has a long double action pull so he doesn’t accidentally shoot someone that doesn’t need shooting. All follow-up shots are single action. Ignoring the ideas of target identification and keeping your finger off the trigger until you are on target and are going to shoot, my concern is with the mechanical change of the way the gun performs in the middle of combat. Gary Paul Johnston wrote an article about trigger consistency in the July 2007 edition of Guns and Weapons for Law Enforcement magazine. Johnston wrote “I believe the trigger of a firearm should operate one way and exactly the same way every time.” I agree. Learning how to shoot two different styles of trigger would seem to require twice as much time and practice. Johnston also details how his former department transitioned from DA-only revolvers to DA/SA pistols and the qualification scores went down. Johnston then details how the scores went back up after his police department transitioned to a pistol with a consistent trigger pull. Based on my own experiences, I am with Johnston’s evaluation of triggers. I’m not going to tell you that this one is better than that one, but I can tell you that consistent trigger will tend to lead to more accurate shooting. Examples of the consistent trigger pull on a pistol include the Glock, the M&P line from Smith and Wesson, and the DAK-type trigger available on SigArms pistols. Ruger even introduced a new trigger assembly for the AR-style rifle in an attempt to provide a better, more consistent trigger pull. Something that is sometimes overlooked is the importance of gloves in the equation. Thick gloves can impair a good trigger press. Fortunately, there are a number of companies who are tacking this problem. 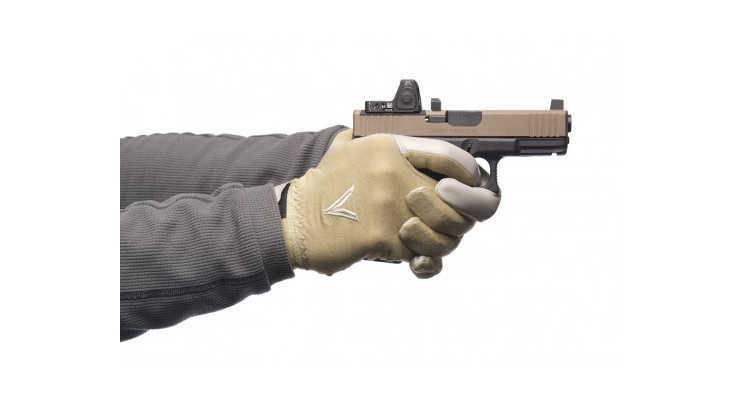 For example, Velocity Systems makes something called the Trigger Glove. Police departments are frequently faced with budget cuts. Our citizens expect more, while our city commissions give less. An unfortunate truth is that most agencies will slash the training budget before making cuts in other areas. With an underfunded training program, instructors have to decide what classes they will be able to provide. Some training is mandated by state or federal law. After September 11, 2001, training in the Incident Command System (ICS) and the National Incident Management System (NIMS) became mandatory for a lot of people. All federal, state, local, tribal, and private sector persons with a direct role in emergency management and response must now be ICS and NIMS trained. This includes police officers, deputy sheriff’s, and their agencies. Designed to simulate real-world scenarios, Incident Commander trains police officers and other emergency responders how to use the National Incident Management System to respond to and handle emergencies. Incident Commander may look like a game, but it is a full-fledged simulation. Time delays, resource limitations, and evolving crises are all part of the training. There is no cheating and poor decisions will quickly become apparent. Incident Commander can be used solo, or run in a group simulation with several different people representing the different agencies that respond to any given emergency. Diverse emergencies such as chemical spills and school hostage situations are included. There is even a map editor to let you match your community’s actual streets to the simulation. The program networks easily with multiple other computers allowing multiple people to interact at once. Consider having several computers in different rooms. A representative from each agency is at a different computer: fire department, police department, ambulance services, etc. Each is viewing the same scene on their computer, but they have to coordinate their efforts using their radios, runners, phones, or however they might normally communicate in a scenario. 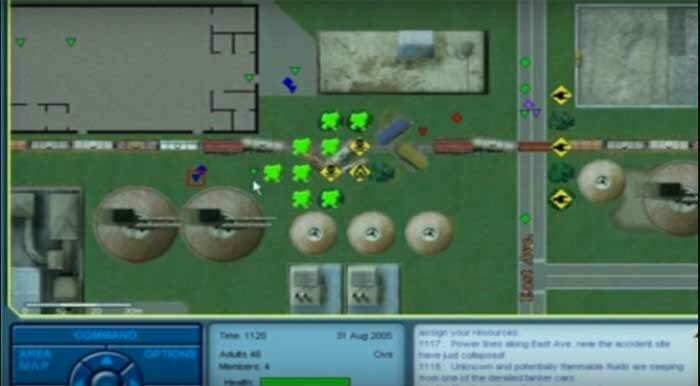 Suddenly a pretty good simulator can teach valuable lessons in communication and coordination in a terrorist attack or other situation. The program is available for FREE to police departments and other public safety agencies. A shipping and handling fee of $5.00 will deliver up to 16 CDs to your department. Free is an awfully attractive price for training in an area mandated by federal law. Visit the official web site and learn more. Officers at many departments often do not get training in areas outside of the core liability areas such as use of force, firearms, and pursuit driving. Most departments simply don’t have the money to cover the cost of the additional training. Additionally, many police officers and deputy sheriffs have a hard time fitting extra training into a schedule packed with work and personal demands. Enter The Backup Training Corporation – a company that aims to take the stress, cost and time restraints out of ongoing police training. Founded in 1997, The Backup Training Corporation offers more than 40 courses on CD-ROM for law enforcement officers. The courses cover a broad range of topics including the use of force, officer survival, and responding to active shooters. Many of the courses cover subjects that are rarely covered in traditional training such as commercial vehicle enforcement, developing informants, outlaw bikers, elder abuse, identifying stolen cars that have been disguised (VIN switches, etc. ), and vice enforcement for patrol officers. Since the courses are all offered on CD, officers can work on them in their spare time, even if that is during “down time” on a midnight shift. The courses are easy to navigate and the content is well written and interesting. The best part of this training is that all of the content is completely free to individual officers. The only cost to the officer is a $3 shipping and handling charge for each CD. This fee covers the cost of reproducing the CD and mailing it out to you. A fair bargain by any measure. The costs of developing the course content is paid for through government grants for adult education. If free, high-quality training was enough in itself, how about this: you can earn college credit for the courses also. The Backup Training Corporation has partnered with North Idaho College (NIC) to offer up to 17 hours of 200-level college credit. Unlike some of the dubious, non-accredited online colleges, NIC is fully-accredited by the Northwest Association of Schools and Colleges. This means that you can transfer the credits to any other college or university. A total of 17 semester hours is available. If you wish to obtain the college credit (your option – you don’t have to), simply pay a $25 application fee to the college plus $10 per hour of credit. So, for a grand total of $195, you walk away with 17 hours of college credit. Considering a 12-credit hour semester will set you back $1200+ at most institutions, that is a bargain you simply can’t argue with. When you first sign up for any of the courses, you will need to submit an application along with your credentials proving you are a sworn law enforcement officer. Once you get started, you may order up to six CDs at a time. Bargains like this are rare treasures. Make sure you take advantage of this high-quality training. Focusing on highway drug interdiction, the CD-based course covers all of the bases for an officer who is serious about stopping the flow of drugs on the highways and streets of their communities. Topics in the course include: indicators of drug couriers, roadside interviews, search and seizure case law, concealment locations and methods, “source” states and frequent overland routes, the use of K-9s, profiling, documentation, and more. I have taken a variety of drug interdiction/criminal patrol courses in the past, and felt that this one does a good job of conveying a lot of the important information. If you have never taken a class on criminal interdiction you will get a lot out of this program. For the well-versed drug interdiction officer, this course is a solid refresher in most areas, and you may pick up a few new things also. The course is rich in multimedia content, but a lot of reading will be required. The course is designed to be completed in 8 hours, and can be stopped and started at any time. To receive course completion credit, you do need to complete the course within 90 days of receiving the course. Unfortunately, this program is no longer in existence. My attempts to locate the copyright holders of the materials have proved fruitless. It was my intent to place this material online for officers to access anywhere if I could locate and obtain permission to do so. Should anyone have further information on the company or its materials, feel free to contact me.